Sewer workers are exposed to dangerous working conditions from toxic and flammable gases. 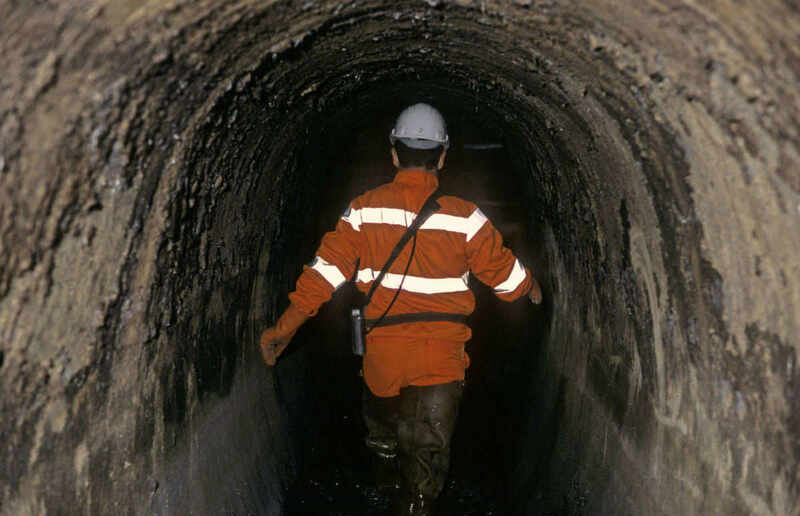 Sewer workers may spend large amounts of time under a tunnel, in a sewer, or in other types of confined places. These types of jobs are exposed to a higher risk of work-related illness and accidents, such as exposure to the risk of fire hazards due to the presence of flammable gases. Many accidents occur when workers inhale toxic gases. Initially, a worker may smell an odor similar to a rotten egg when exposed to hydrogen sulfide. In addition to hydrogen sulfide, a sewer may release other harmful gases, such as carbon monoxide, nitrogen oxides, and ozone. Some gases, like carbon monoxide, do not have any odor or color. As a result, the worker may not be aware of exposure to harmful, toxic gases until serious symptoms develop. Long-term exposure to toxic gases, such as carbon monoxide, chlorine, hydrogen sulfide, hydrogen cyanide, and arsine can be lethal. Every year, over 5,000 workers get injured and another 50 deadly accidents occur in confined places. The Occupational Safety and Health Administration (OSHA) released regulations on Permit-Required Confined Spaces in January 1993 in an attempt to prevent accidents due to exposure to harmful toxic gases in a confined place. OSHA guidelines require that workers use a self-contained breathing apparatus (SCBA) while working in a sewer or any confined place that has less than 19.5 percent oxygen concentration in the air. An employer is responsible for making sure that working conditions inside a sewer do not pose a life-threatening risk to their workers. Workers should be equipped with the appropriate tools to avoid accidents and illnesses due to exposure to toxic gases in a sewer or any confined place. Sewer workers who get injured due to toxic gas exposure can claim workers’ compensation benefits. Our Missouri work comp attorney can help navigate the system and ensure that you receive your rightful benefits. Call The Law Office of James M. Hoffmann at (314) 361-4300.